Apple is pretty stringent when it comes to what is, and what isn’t allowed to grace its prized iTunes App Store. The company is notorious for swiftly shutting out any attempt to defy the company’s system of rules, with high-profile casualties now including the seemingly innocent VLC Media Player. Someone overlooking the moderation process clearly wasn’t on the ball when checking an app by the name of Awesome Baby Names, which bears a rather interesting secret; it actually contains its very own Game Boy Advance emulator within, and although, well, it’s not actually very good, one has to admire the tenacity of its creators. More details after the jump. Emulators are aplenty within the Cydia store, with the PSP Emulator for iPhone having recently been added to a plethora of old console emulators and ROMs already available to download and enjoy. But this is the first time such a facility has been available to the general public via the App Store, and while the app will almost certainly be taken down once Apple realizes what has happened, developer Van Ian Jackson has done a great job in his cover-up mission. Awesome Baby Names currently costs €1.79, and if you look over at the app’s description page, it looks innocent enough. 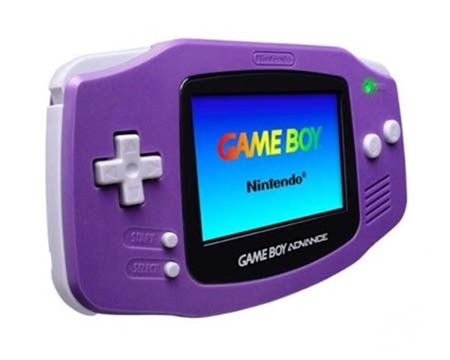 There’s not even a sign – let alone a mention – of the GBA emulator within, and although a separate BIOS file is needed for the emulator to work and run old Game Boy Advance games, this app provides everything else required. There are multiple reasons why Apple doesn’t allow emulators within the App Store, with the most obvious being that consumers will download Super Mario, Tetris, Pokemon and Zelda ROMs, rather than download apps which make the company their money. Expect the Awesome Baby Names app to be banished in the very near future; but in the meantime, it’s available to download via the link below. If you are planning on going ahead and giving this a go, please make sure your device is running on iOS 5 or higher. (Source: AwesomeBabyNames for iOS on App Store | via iPhoneclub.nl) Thank, Ali for the hat tip!